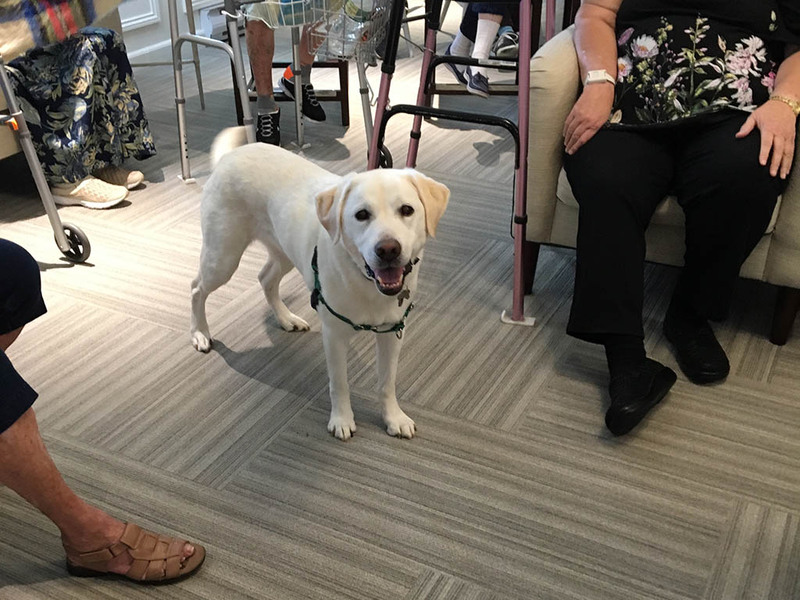 Residents thoroughly enjoyed petting, snuggling, and hanging out with Windwalker Therapy Dog Piper. 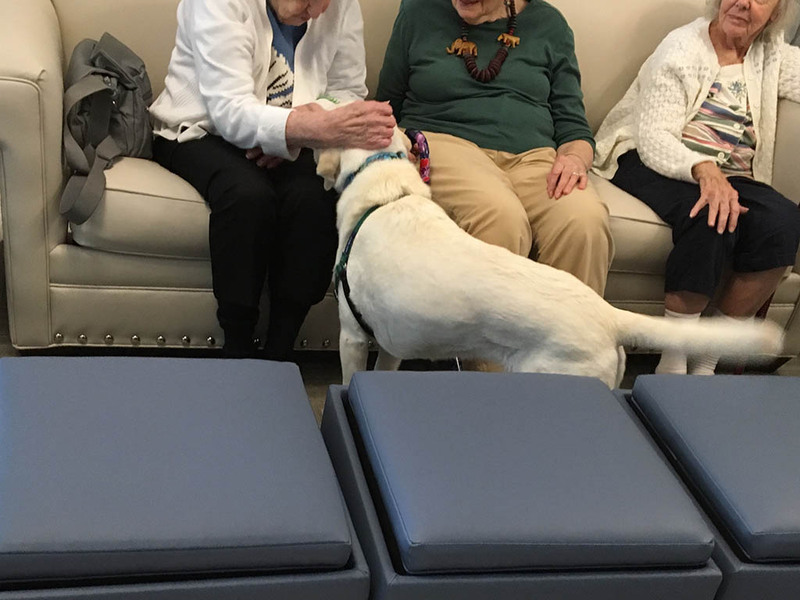 Staff had fun as well engaging with Piper, who perfectly meets the criteria for a pet therapy dog: friendly in crowds, easy going and affectionate. 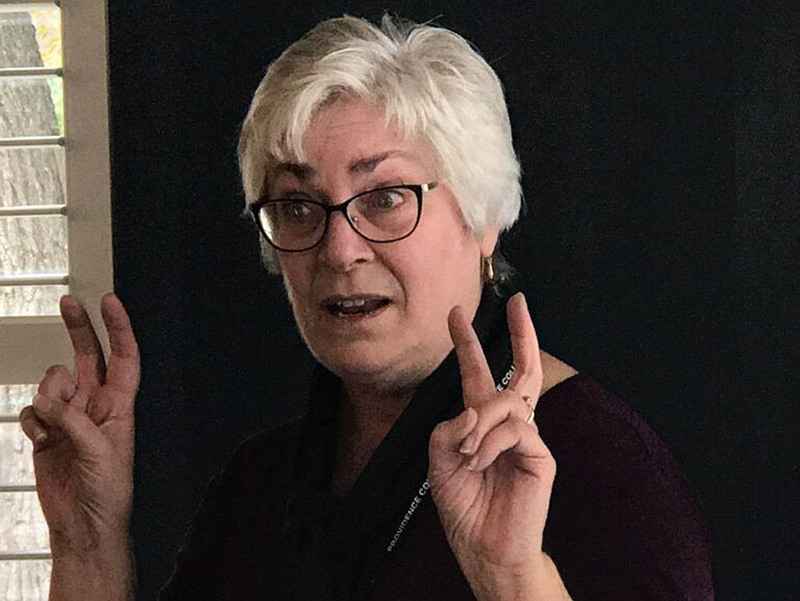 Leslie Sittlow, Piper’s owner, demonstrated therapeutic exercises that are part of the training required to become a Professional Pet Assisted Therapy (PPAT) facilitator. For most people just seeing a photo of an adorable animal is enough to make them smile. Since 2013 Piper and Leslie have been taking that potential to the next level, getting participants smiling, talking, and laughing. 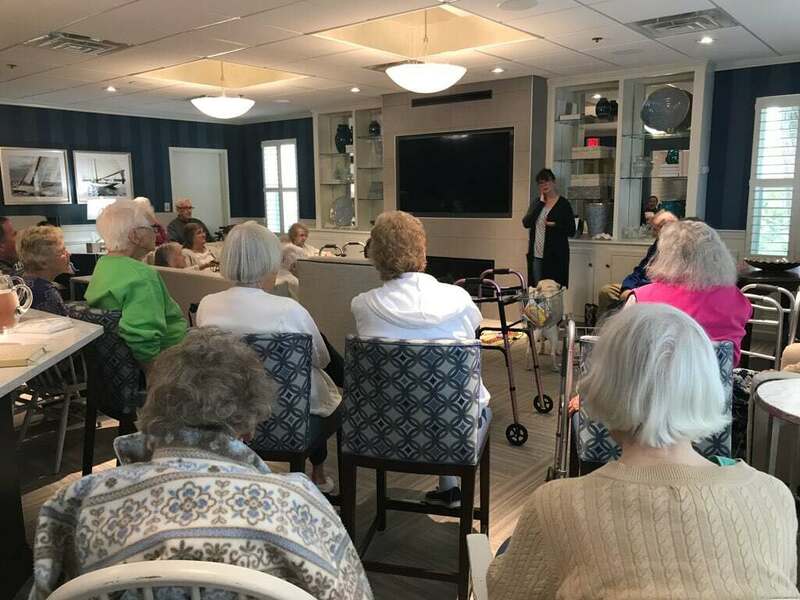 We chose Windwalker for this on-site event because their mission and philosophy aligned with our goal of finding interesting and stimulating activities for our residents. Becoming a Windwalker PPAT team is no easy feat. It begins with the DJ Professional Pet Assisted Therapy University Certificate Program (a three phase program) administered through Providence College. This program is quite rigorous, including twenty four hours of classroom study, followed by sixteen hours of team building and experiential practice with the family pet in a healthcare facility, and finally a twenty hour internship completed over four to six months. Pet temperament screening and several evaluations occur prior to completion. Upon successful completion of the DJ program PPAT teams are eligible for credentialing through Windwalker. Established PPAT teams adhere to a Code of Ethics, as well as ongoing business standards and requirements. 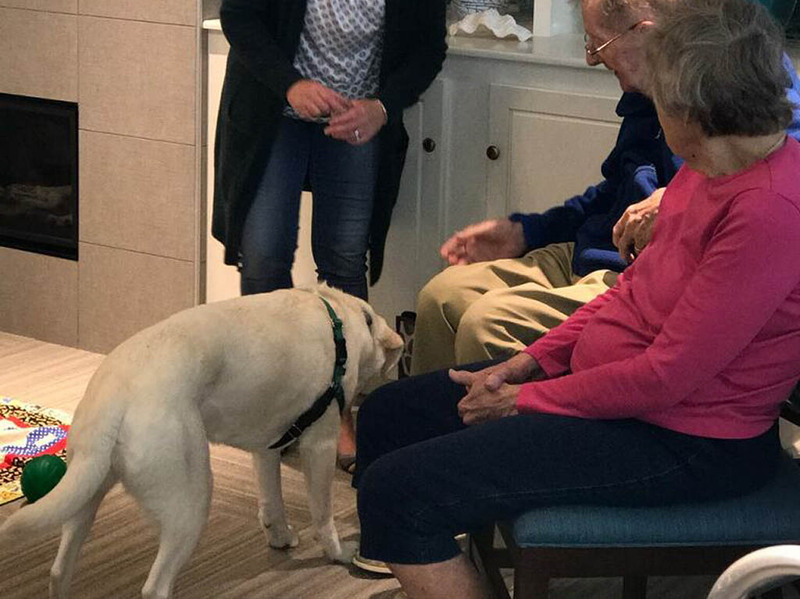 As expected, we were very pleased that our residents were able to enjoy the pure happiness of Piper and engage in interesting conversation with Leslie. We look forward to having them back soon. 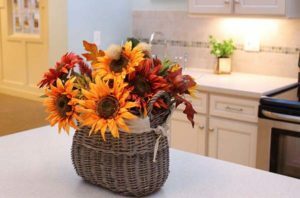 The Elms is a wonderful place to live regardless of mobility or memory care concerns. 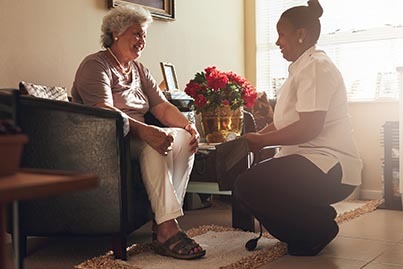 Our campus includes a beautifully restored Victorian mansion for independent and assisted living seniors, two buildings dedicated exclusively to memory care, and professionally landscaped grounds to enjoy the outdoors. Please feel free to give us a call at (401) 596-4630 or contact us by email to arrange a tour of our communities or attend one of our on-site activities to see why folks love living at The Elms.